IAC's CFO discussed Ask.com's setback in search as well as its 'tool bars' future at an investor conference Monday. NEW YORK ( TheStreet) -- Internet company IAC ( IACI would consider selling a piece of its Ask.com business, although it's not yet prepping the question-and-answer service for a sale, Chief Financial Officer Tom McInerney said Monday at an investor conference. 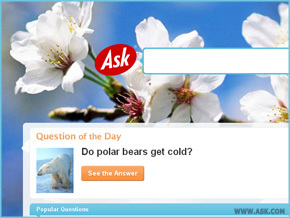 It's unlikely that a cash buyer would want to acquire Ask.com as a whole, he added. "If Google ( GOOG or Microsoft's ( MSFT Bing wanted to buy Ask.com, we would have done it already," McInerney said. Ask.com is a "less material piece" of IAC's core business, he added. Acquired by IAC in 2005 for $1.85 billion, Ask.com was forced to transition from a search-engine business to a Q&A service last month after conceding it could no longer compete with Google. The company also cut 130 engineering jobs and closed down its offices in New Jersey and China. Google, the number one U.S. search market provider, holds a 66% share of the market, while Ask.com, ranked fourth, has less than 4%, according to Comscore. Ask.com will face competition in the Q&A space from startups such as Quora, ChaCha and Facebook. While IAC has struggled to grow its traditional search business, the company is focused on expanding its tool bar business. In the most recent quarter, IAC increased its active tool bars 55% to 97 million. The company places customized search tool bars on browsers and generates fees when the tool bars are used. Last week, IAC CEO Barry Diller stepped down from the company, after buying out large shareholder Liberty Media ( LPTCA. Liberty will receive $220 million for the stake, as well as IAC's Evite and Gifts.com businesses.